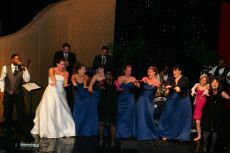 Deja Groove is scheduled to perform for Saucon Valley Country Club’s prestigious Governor’s Ball in the spring of 2010. Deja Groove is quickly becoming not only Philadelphia’s best choice for live band entertainment, they’re becoming one of the most sought after bands in all of PA.
See NEW Live Deja Groove Videos on YouTube! New Deja Groove videos have been posted on our web-site on YouTube. There are seven more video clips to come so stay tuned. Deja Groove congratulates Bob & Dina Sherwood as they start their new life together. What a great wedding and reception took place at the Westmoreland Club. Deja Groove’s pianist Eric Mauro performed at both the wedding ceremony & cocktail hour where he was joined by saxophonist Vince Steffens. The night went a little overtime but no one cared because fun was had by all. Vote for Deja Groove in Best of the Philly HOT LIST for Best Music. Do you agree? Click the following link to cast your vote! Keep your eyes peeled for Deja Groove’s LIVE Video coming this week!! The video was filmed in high definition by SPATS Productions. Deja Groove to perform for the third consecutive year for Olympic Gold Medalist and professional athlete Dawn M. Staley at the Eighth Annual Dawn Staley Foundation Annual Black Tie & Sneaker Gala on June 9, 2009. The Gala, which is attended by various professional athletes, entertainers, sports executives and community and business leaders, provides an opportunity for Dawn Staley to honor her fellow athletes and corporate partners who support area youth and are making a tremendous difference in their communities. The elegant evening includes dinner, awards and a live sports memorabilia auction. Past honorees include track legend Jackie Joyner Kersee, former Philadelphia Eagles players Troy Vincent and Brian Mitchell, Philadelphia Charge soccer player Lorrie Fair, Golf Digest senior writer Pete McDaniel, and WNBA Vice President of Player Personnel Renee Brown. Proceeds from the Gala benefit the Foundation’s mission of creating and supporting educational and sports programs which challenge minds, build character, and help youth to develop to their fullest potential academically, socially and physically are the essence of the foundation. At a recent wedding reception Deja Groove rocked the Valley Forge Radisson – Waterford Ballroom, keeping the dance floor fully active from their smooth rendition of “At Last” to their show stopping rendition of OutKast’s “Hey Ya”…as another bride happily shook her thing like a Polaroid picture. 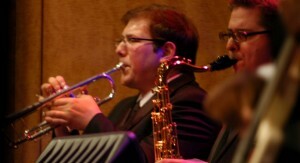 Deja Groove has added a dynamic new horn section. The addition of a saxophonist and a trumpet player places Deja Groove among the most elite of Philadelphia dance bands and enhances their ability to replicate covers of our client’s most requested music. In addition to their existing outstanding entertainment services, Deja Groove is proud to offer a pianist and a saxophonist for their cocktail hour and performances.